We were recently named to the 2018 American Marketing Association's "Gold Top 50 Report" for the 6th consecutive year. The report lists the top revenue-generating market research organizations operating in the United States, and is the industry's benchmark for market research organizations nationwide. 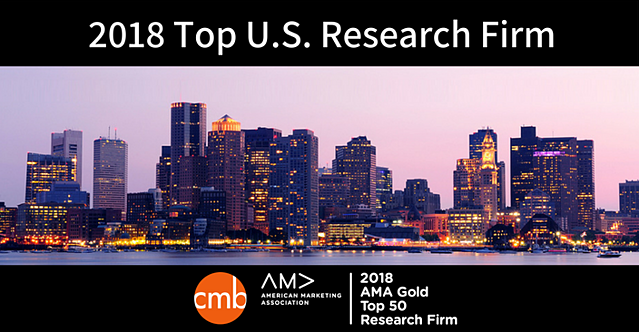 "In a rapidly changing environment, CMB's continued growth is a testament to our vision and commitment to client success," said CMB's CEO Jim Garrity. 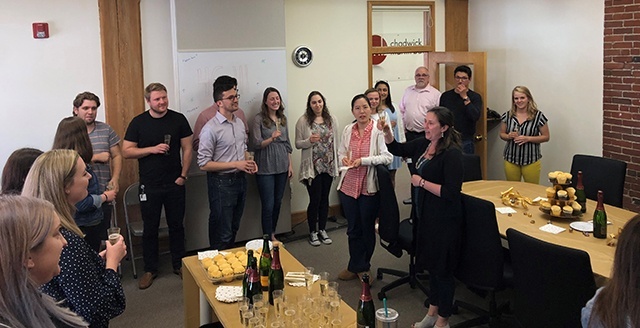 "I'm proud of our incredibly talented team and honored to be recognized as one of the top market research organizations in the country", he added. 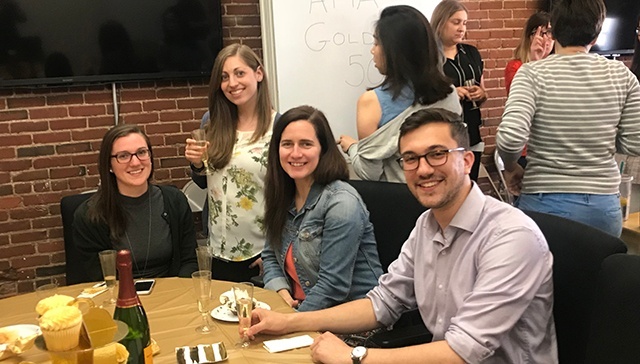 To celebrate our team's success and say "thank you" for their hard work and dedication, we took time to toast to our sixth year on the Gold Top 50 list. CMBers Julia Walker, Laura Blazej, Caitlin Dailey, and Reed Guerino at yesterday's Gold Top 50 toast celebration. 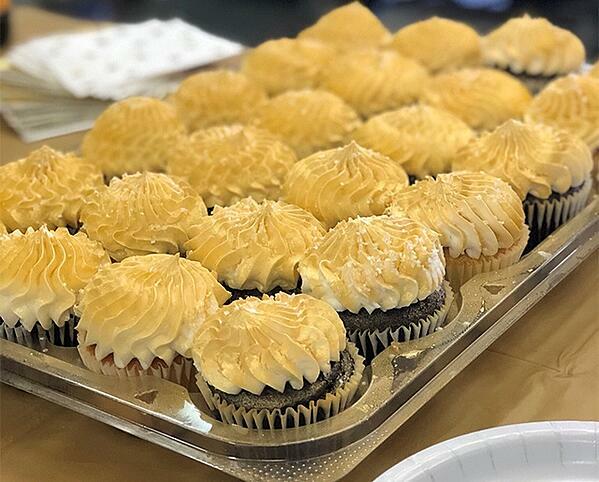 And the celebration wouldn't be complete without golden cupcakes! A big THANK YOU to everyone who contributed to this year's success. We're fortunate to have such talented and driven team members, and couldn't have made the AMA Gold Top 50 list without you! Savannah House is the Marketing Manager at CMB who is looking forward to having a leftover cupcake for lunch today.